Sam Wilson sided with Steve Rogers in 2016’s Captain America: Civil War. After that, he showed up in Infinity War, where he helps Vision and Scarlet Witch, and his suit had an upgrade that most fans didn’t notice. As pointed out by Marvel Studios Concept Artist, Josh Nizzi, Wilson had donned boot thrusters, something that he hasn’t used since the beginning. 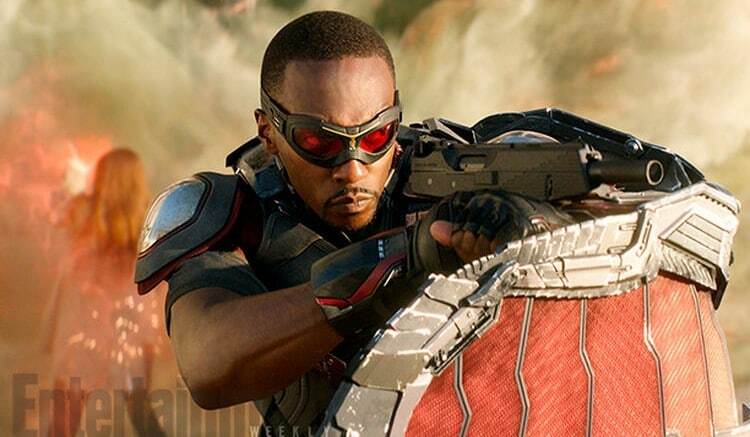 Although Anthony Mackie’s Falcon turned to dust at the end of the film, he’ll be back in next year’s Avengers 4. The character is also rumoured to be involved in a show with Bucky Barnes for Disney’s upcoming streaming service. Mackie seemed excited at the possibility of a Winter Soldier/Falcon Show earlier in the year while promoting Infinity War. “Sebastian is a damn good actor and he’s a damn good friend, so I think our relationship — really, it’s the three of us, he, [Captain America actor Chris Evans] and I – our relationship kind of works really well because there’s a mutual respect,” Mackie said. When Stan was asked about the show more recently, he played it off probably due to Marvel’s secrecy policies.